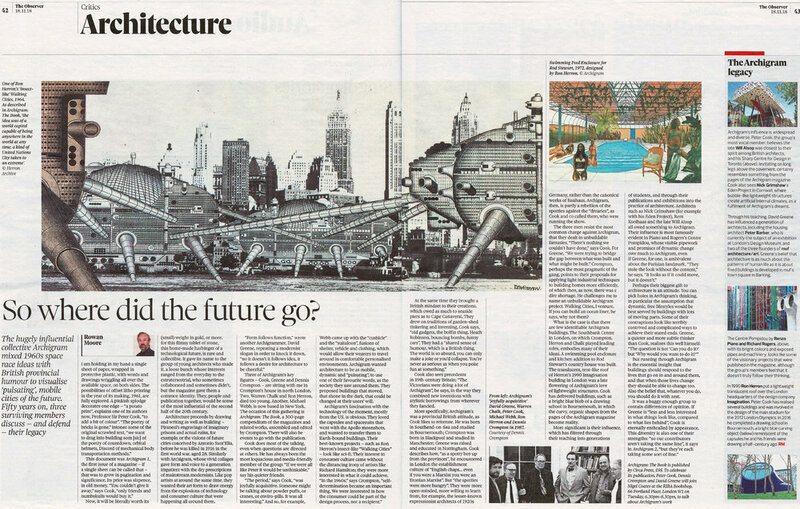 Archigram: The Book, published by Circa Press, was reviewed by architecture critic Rowan Moore in The Observer, on 18 October 2018. Designed and edited by one of Archigram’s founders, Dennis Crompton, the book presents the definitive account of the ideas of the avant-garde and seminal architectural movement. The article can be found online at The Observer, with further information available on Circa Press’ website.